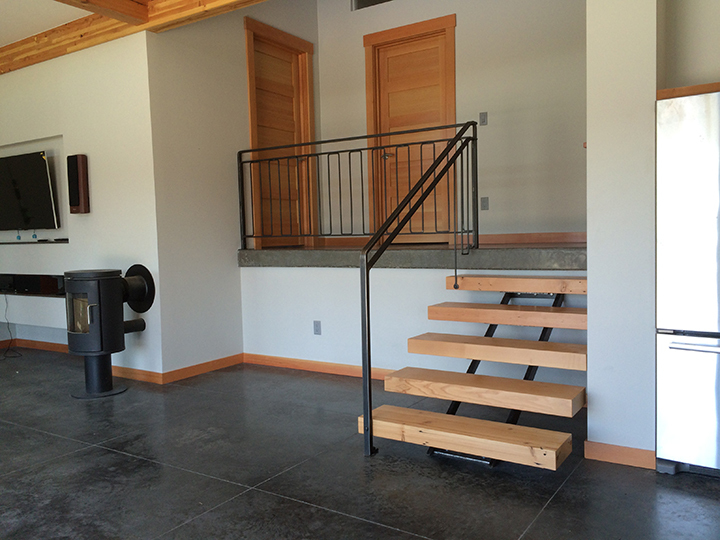 Constructed by Bellingham Bay Builders, this beautiful energy net zero home called for simple yet thoughtful metal work to compliment its well crafted modern style. 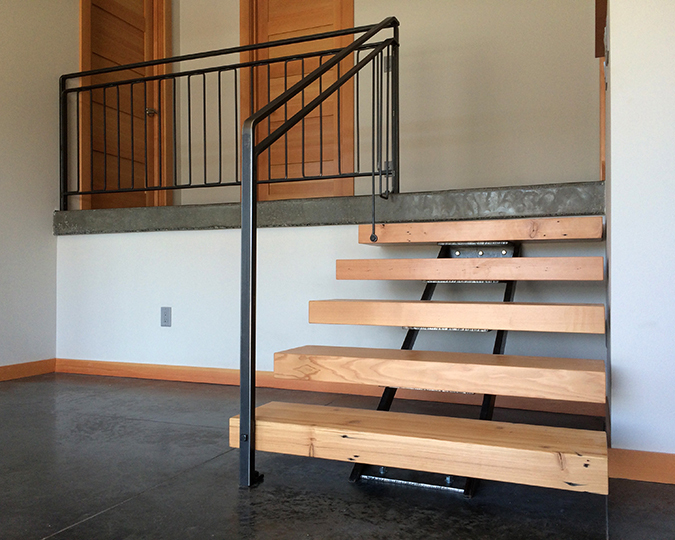 Both the stair stringer and the railing exhibit techniques of forming steel that are unique to my aesthetic. 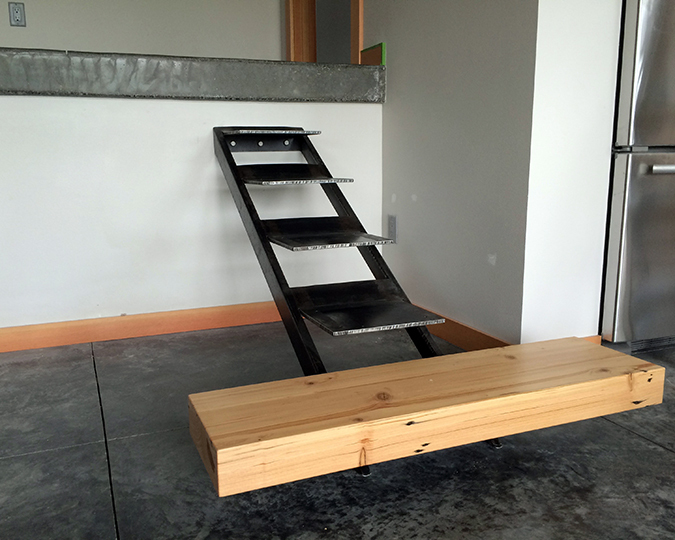 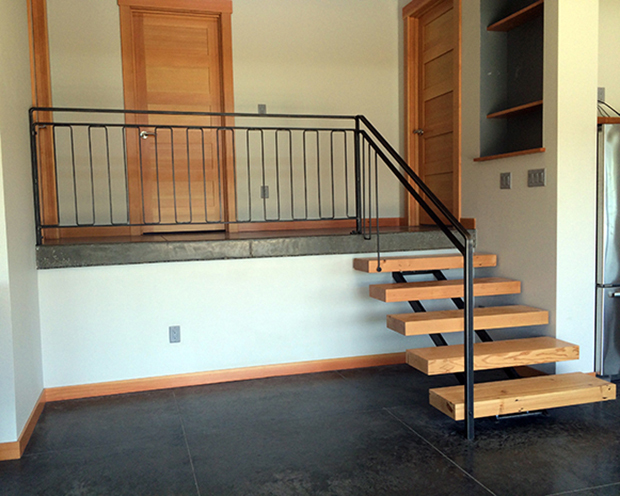 In particular the stair stringer is formed entirely from one piece of steel channel, cut and bent in a way to support the reclaimed doug fir treads. 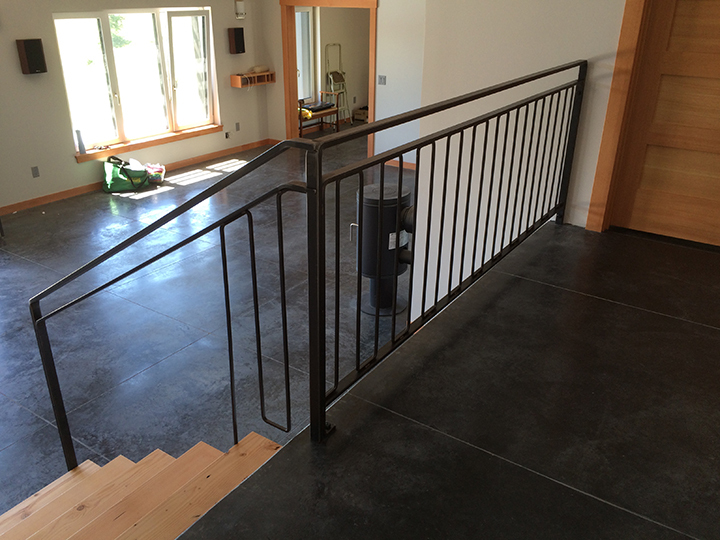 Similarly the pickets within the railing are circuitously bent from one continues line of steel.